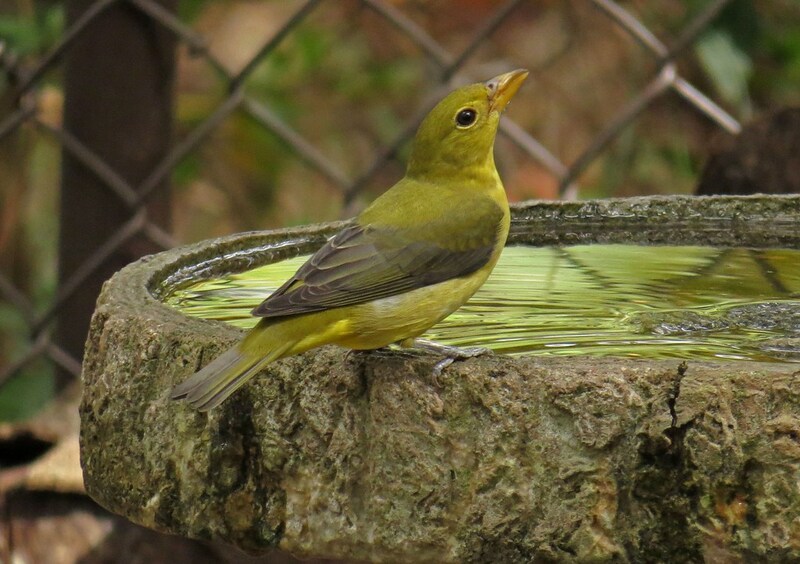 A blur of yellow caught my eye when I went outside to refresh the birdbath and the water dishes this afternoon. 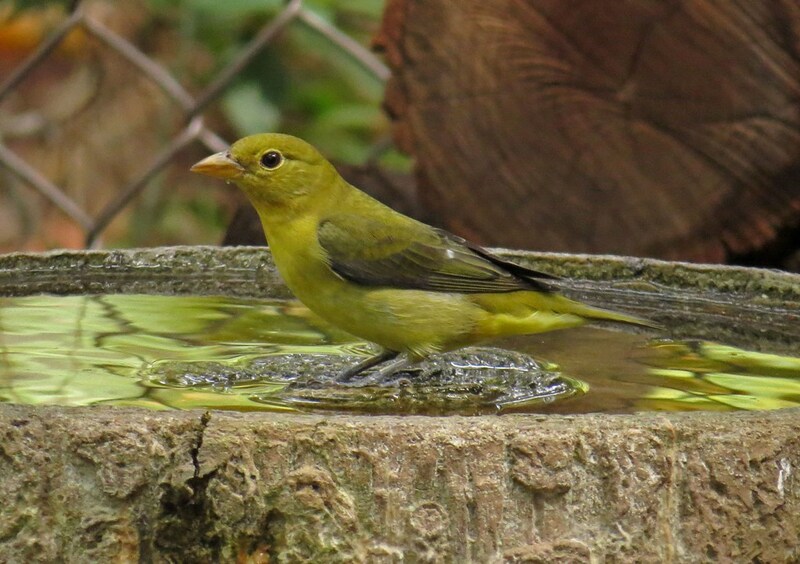 At first I thought it was a Warbler; turns out it was a female Scarlet Tanager stopping by for a drink. 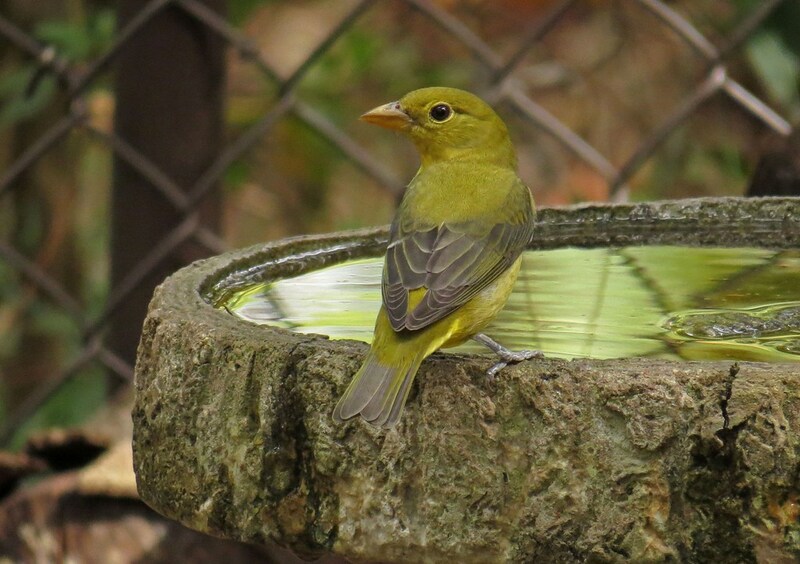 Unlike the male, who is is indeed scarlet (you can see him in this previous post) – the female is a bright greenish yellow. I’m pretty sure this lovely lady had been hoping for a bit of a bath, but her time was cut short by the arrival of a female of a larger beaked variety. 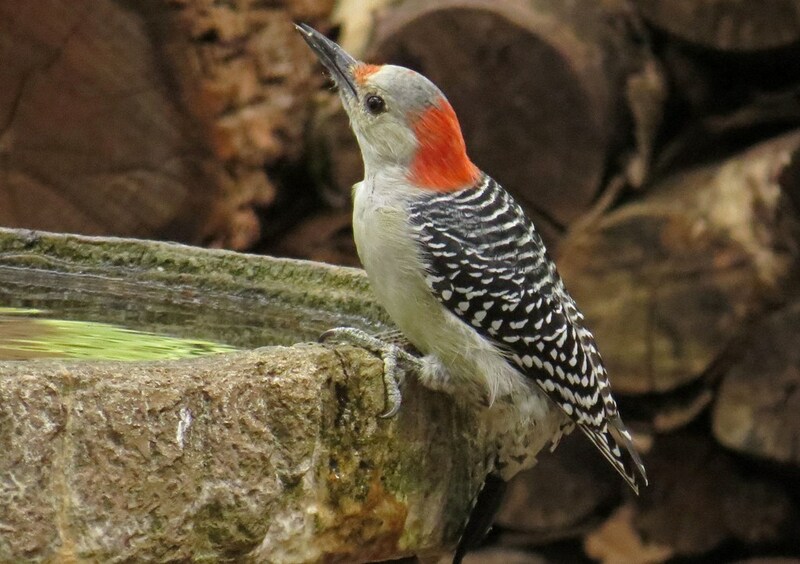 After leaving the water, she sat on a nearby branch for a few moments and then flew off out of sight. I’m so glad this beauty paid a visit; she added a touch of beauty to my day. 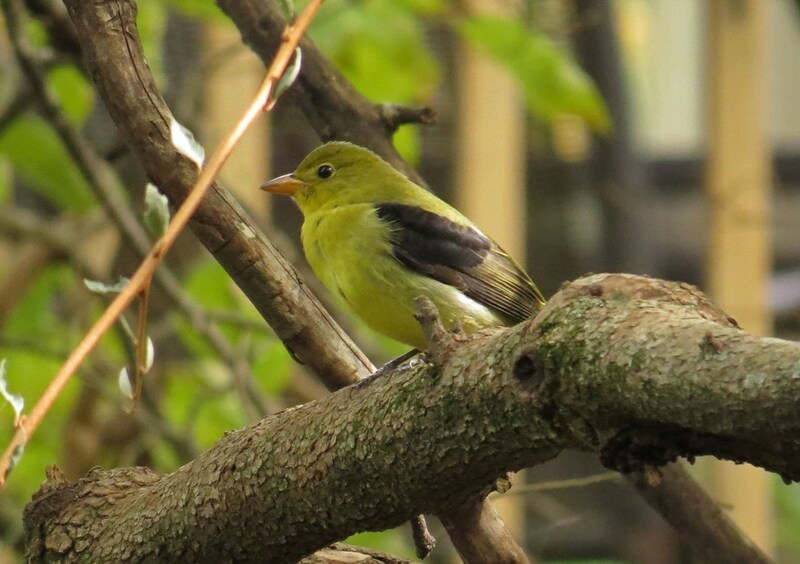 This entry was posted in Backyard Birds and tagged beauty, bird photography, birds, hobbies, nature, photography, tanager, writing. Bookmark the permalink. What a beauty. Great capture Kathy!! Lovely shots Kathy, I often use to wonder why God made the males so bright and colourful and the young ones of similar colour to the female who is more blander in colour oftenin shades of brown or green, and I think it is for their protection. 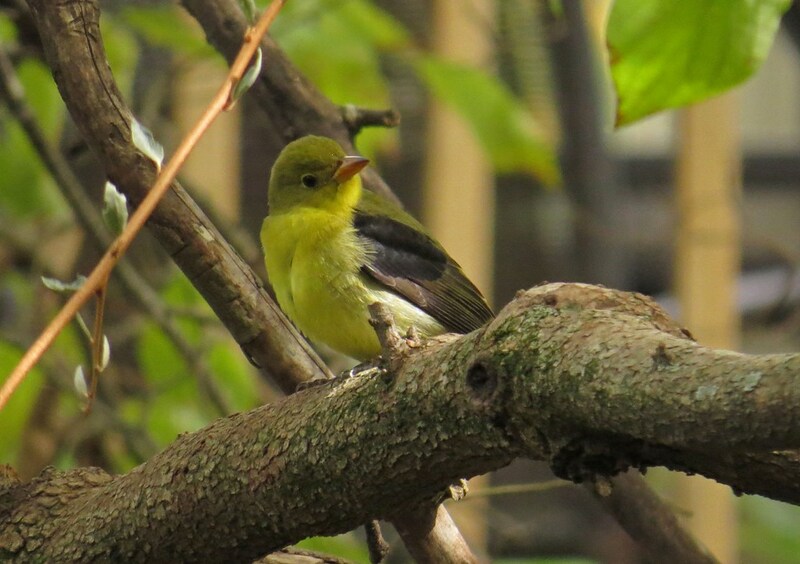 My observations, which I will share in my book are that the female can hide effectively with their young and the male with its bright attractive colours can lead any intruder away from the brood or nest and then return to the family. This is what I have observed with many of our Australian birds which likewise have plain coloured female and immature markings. The male will become fully virile only when he morphs from looking like a female to gaining his full male plumage. Interesting, your photos stirred up my thoughts again, thanks for sharing Kathy! What a pretty bird! She is lovely. She has that sweet, gentle look about her. And she is a gorgeous creature! Thank you for sharing her with us, Kathy!